Welcome to the website of Susanne Haywood. I am a quiltmaker based in Derbyshire. In the gallery you can see samples of my quilts and wall hangings. 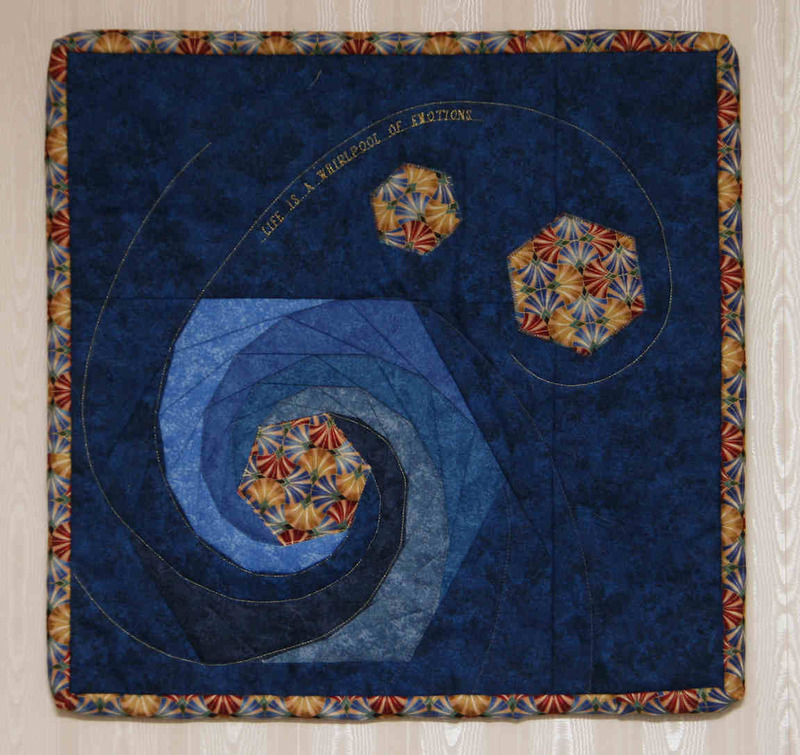 If you are interested in purchasing or commissioning a quilt, please e-mail me via the contacts page. I am driven by the joy of creating objects of beauty which will transcend time. The background to my work is my love for the arts, music and literature, all of which I pursue in my spare time. I have been making quilts for 25 years and I still believe a quilt should warm both body and soul. In my recent work, however, I am more and more interested in integrating other artistic techniques, like painting and felting, into my quilts. I love to play with colours and material and have started to dye and print my own fabrics. Usually I do a rough sketch as a starting point but then the project seems to take over as I am progressing and I develop more detailed ideas. The material I use has to be complementary with the theme I am working on . I am exploring different ways of conveying complex and evocative meanings. I have exhibited my work and have started to run workshops.